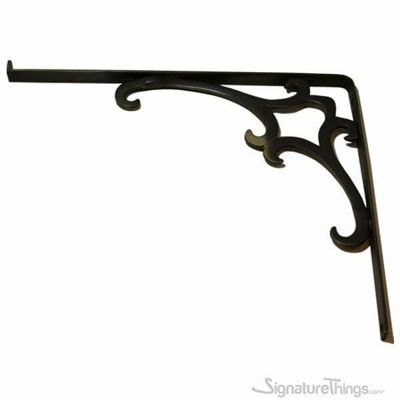 If you need a wall shelf, take these decorative metal shelf brackets home to customize your own bookshelf, commodity shelf or storage rack! Just mount them on your wall in appropriate distance and place on a wooden board or glass pane, then finished! - 5" Wide x 7" High with or without lip. - 7" Wide x 9" High with or without lip. - 8" Wide x 10" High with or without lip. 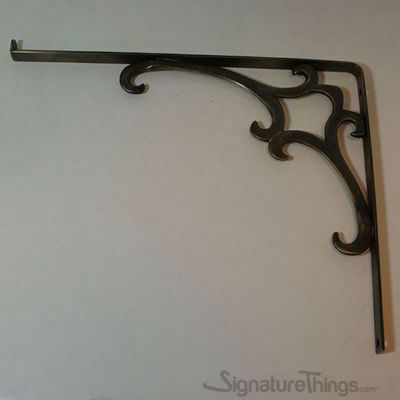 We can custom make the bracket in any Width and Height Combination, BUT the design element will be standard and the same size on all sizes.